Slow is fast. And fast is slow. One common theme among many professional futures traders is that it took them time to learn to become consistently profitable. In fact, many lost substantial amounts as they got started out. Almost unanimously, the main mistake they made was trying to rush to success. Is your trading where you want it to be in 2018? If not, there’s no reason that you can’t get on the right foot starting now. There are still 125 trading days left in 2018. You can make progress. But only with a clear trading goal. Here are five ways to do that. Ready to take what you've learned an profit trading futures? 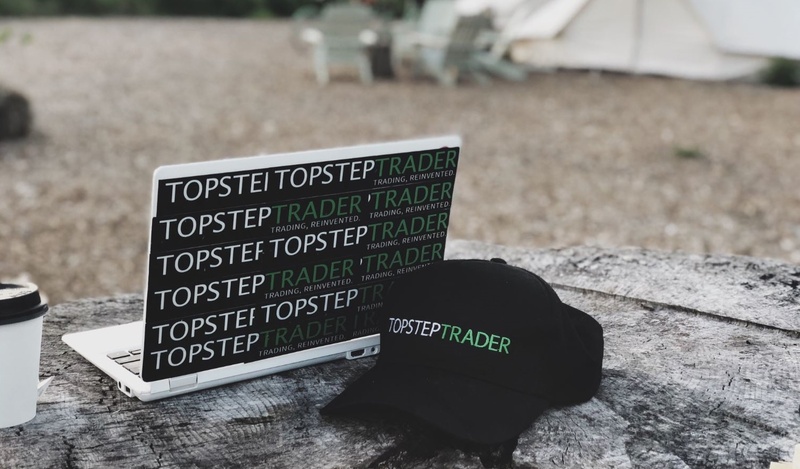 Get started trading with TopstepTrader today! Your P&L is a warning light; it’s not the thing that you need to work on. In fact, focusing on your P&L may cause you to make errors that you wouldn’t otherwise make. That’s because the P&L is the output — it’s not the input. And you can only work on inputs. That may be trading less, being more disciplined or lowering your risk-to-reward ratio (which we think is the most important metric in trading). Or maybe you need to work on your trading psychology. This interview with Dr. Rande Howell about mastering your trading emotions would be a great place to start. Rome wasn’t built in a day. Or so the saying goes. But in trading, we think we can go from making $100 a day to $1,000 to millions a year. Such progress is not probable in normal professions, and trading is no different. Yes, there is unlimited upside. You can turn a $30,000 trading account into more than $80 million, as futures trader Michael Marcus did. But even for Marcus, it took a decade. So slow down. Your trading plan is the if / then contingencies. It tells you when you are going to trade, which products and how much you will allow yourself to lose on a daily, weekly or monthly basis before stepping away. Don’t forget, to make a career in trading, you have to have enough capital to trade tomorrow. While it may be painful in the short term to stop trading, losing money should tell you that you need to step away and regain your composure. For more, check out this guide on how to build a great trading plan. We make the plan with no positions on and no risk in the market so that our decisions are sober and well informed. If we follow it and things go wrong, we can adjust it. This will happen, and we can add more to the trading plan. Perhaps you forgot to put how you want to act in a range-bound market, instead of a trending market. Perhaps you find that you trade better in the morning than you do in the afternoon. You may want to add a section that talks about how you scale down your size in the afternoon. In total, markets are dynamic. They change. So your trading plan has to change as well. But the most important thing is to follow the plan. If you don’t, you should expect things to go wrong. Never stray from your trading plan. Any feedback or requests? Leave a message in the comments!